♦ At the end of the Van conference, on August 24, 2017, the Steering Committee of CMC-II has taken the decision to have CMC-III in the last half of August 2019, in Rostov-on-Don, Russia. 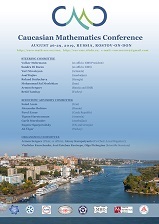 The third Caucasian Mathematics Conference (CMC-III) will be organized in Rostov-on-Don, Russia on August 26-29, 2019, under the auspices of the European Mathematical Society (EMS) on the base of Southern Federal University and with cooperation of Armenian, Azerbaijan, Georgian, Iranian, Moscow and Turkish Mathematical Societies. Working days of the CMC-III conference: 26-29 August 2019. Arrival: 25 August 2019. Departure: 30 August 2019. 2. Photocopy of your passport. Important: The official invitation procedure may take up to 4-6 weeks (depending on the country of your residence and having in mind the summer high season). After receiving this letter, you will be able to apply for your visa in a nearest Russian consulate in your country. Therefore, those wishing to receive the official invitation letter should send us the above documents not later than 10 of June 2019. As usual, the sooner is the better. Invitation letter from the Organizing Committee. 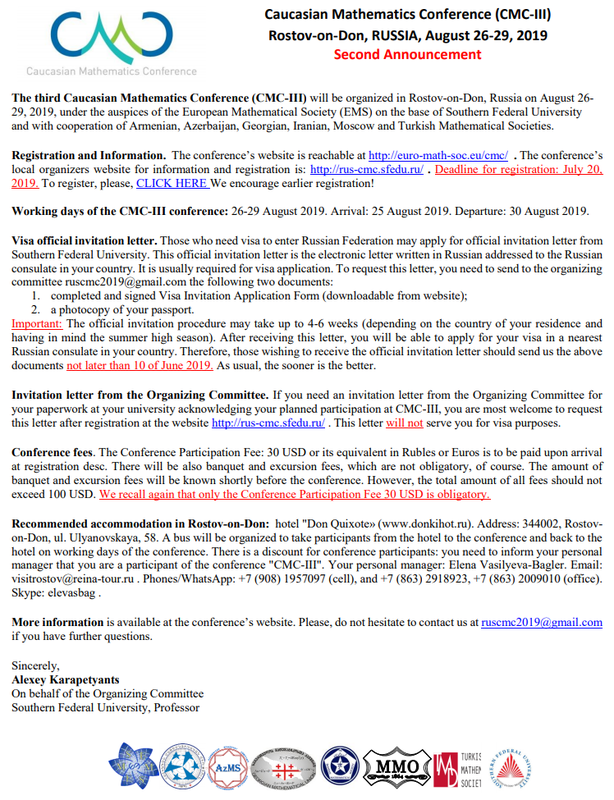 If you need an invitation letter from the Organizing Committee for your paperwork at your university acknowledging your planned participation at CMC-III, you are most welcome to request this letter after registration at the website http://rus-cmc.sfedu.ru/ . This letter will not serve you for visa purposes. Conference fees. The Conference Participation Fee: 30 USD or its equivalent in Rubles or Euros is to be paid upon arrival at registration desc. There will be also banquet and excursion fees, which are not obligatory, of course. The amount of banquet and excursion fees will be known shortly before the conference. However, the total amount of all fees should not exceed 100 USD. We recall again that only the Conference Participation Fee 30 USD is obligatory. Recommended accommodation in Rostov-on-Don: hotel "Don Quixote» (www.donkihot.ru). Address: 344002, Rostov-on-Don, ul. Ulyanovskaya, 58. A bus will be organized to take participants from the hotel to the conference and back to the hotel on working days of the conference. There is a discount for conference participants: you need to inform your personal manager that you are a participant of the conference "CMC-III". Your personal manager: Elena Vasilyeva-Bagler. Email: visitrostov@reina-tour.ru . Phones/WhatsApp: +7 (908) 1957097 (cell), and +7 (863) 2918923, +7 (863) 2009010 (office). Skype: elevasbag . 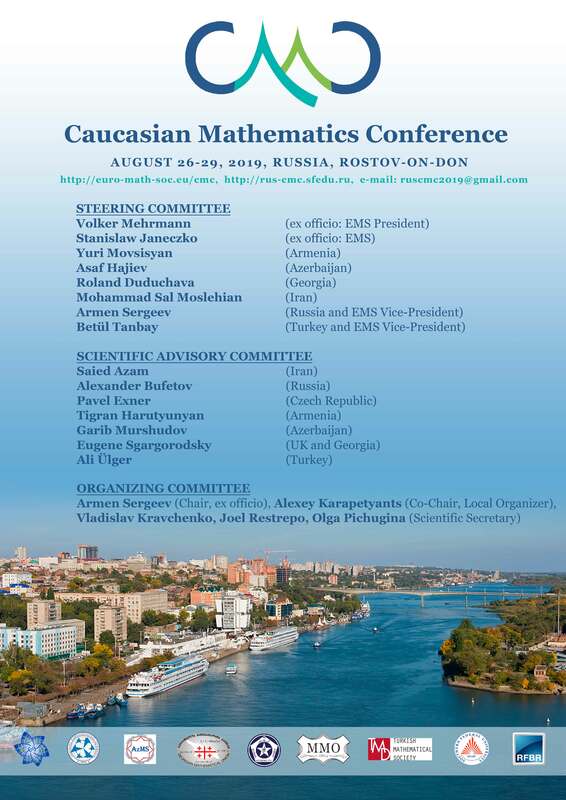 The scope of the Caucasian Mathematical Conferences (CMC) The scope of the Caucasian Mathematical Conferences (CMC) is to bring together mathematicians from Caucasian and neighbouring countries bi-annually in one of these countries. 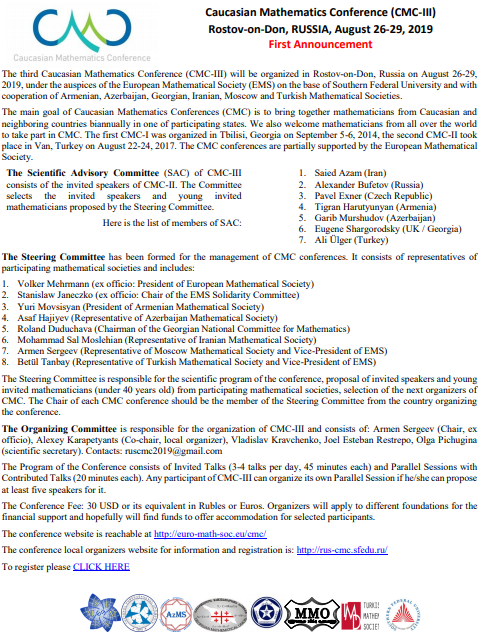 The CMC is partially supported by the EMS and is welcoming mathematicians from all over the world. 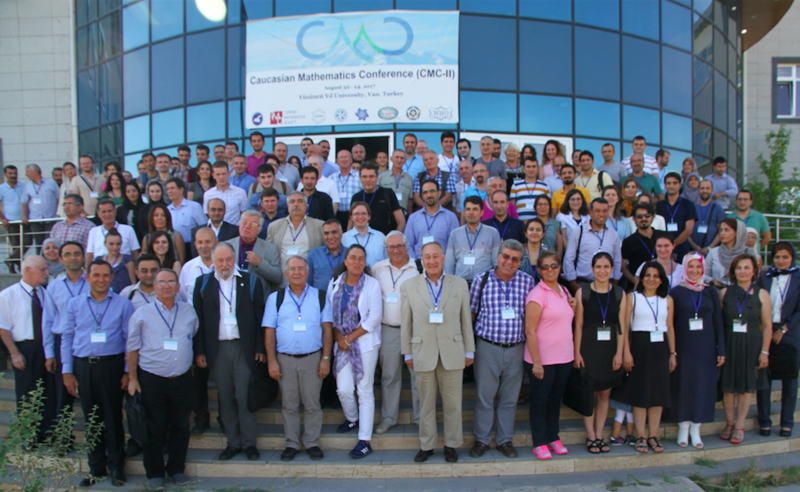 CMC-I took place in Tbilisi-Georgia on September 5-6, 2014 and CMC-II took place in Van- Turkey on August 22-24, 2o17. Click here to reach CMC-I website, here to reach the CMC-II website. Click here to reach the final report of CMC-I and here to reach the final report of CMC-II.